Project managers, freelancers, and small business owners look for ways to be more productive. They try various processes, techniques, and tools to help them. They often automate what processes they can, and look for ways to track, monitor and measure other processes and their outcomes. Some of these processes or tools they use are successful; others either are not, or are only partially so. The six applications described here are powerful productivity tools in design applications, project and task management, time management, and sales. In addition, you’ll find a selection of helpful tips for giving a shot in the arm in your efforts to become faster and more productive. These practical tips and techniques are easy to put into practice; yet they are all too often ignored by many. Active Collab helps your team stay organized when you outgrow email. It’s a powerful, yet simple tool for managing projects, time tracking and invoicing. It gives you a nice overview of your team’s activity across projects. It also allows you to bring clients on board and collaborate. You can easily delegate tasks to your team, get a detailed overview of your projects, estimate and track time on tasks, and issue invoices to clients in a matter of seconds. You can also centralize all your web design projects onto a single platform with this all-in-one tool. This means, you no longer have to struggle using separate apps for time tracking, task management, and invoicing – Active Collab has it all, including lists, Gantt charts, Kanban columns, and advanced reports. Active Collab runs in the cloud, so it’s always accessed through your browser. Once you sign up, you can be up and running within 2 minutes. Or, if you prefer, you can host Active Collab on your own server for a one-time fee. Before you do either, try it for 30 days for free. The concept behind Wake is simple. This beautiful design collaboration app makes it easy to see what everyone is working on. It’s built into your design tools, so you can share information by using a handy keyboard shortcut, without ever having to leave Sketch, Photoshop, or Illustrator. Wake’s Mac app provides a direct connection to Wake for sharing screenshots, your Photoshop canvas, or Sketch artboards. With the iOS app, you can stay up to date on project happenings and status while you’re on the go. Wake’s starter plan is $22/mo. per contributor, but you can try Wake free for 30 days. A Pro Custom plan is available for teams looking for all the bells and whistles, guest accounts, unlimited public and private spaces (channels), and the services of a dedicated account manager. Wake is used by teams at Airbnb, Facebook, Pinterest, Duolingo, Stripe, Medium, and more. If you have the tools to build an awesome prototype, building an equally awesome website or mobile app is child’s play. You can easily make both happen with Proto.io. Not only can you build a stunning, interactive prototype quickly with Proto.io, but by doing so, your entire design process will be speeded up. That’s productivity! You can use the wonderfully-crafted Android and iOS components that come with the package to design prototype within Proto.io; or, you can simply import your static Photoshop or Sketch designs. Proto.io allows you to incorporate tap, swipe, and other commonly used touch elements into your prototypes; without using a single line of code. 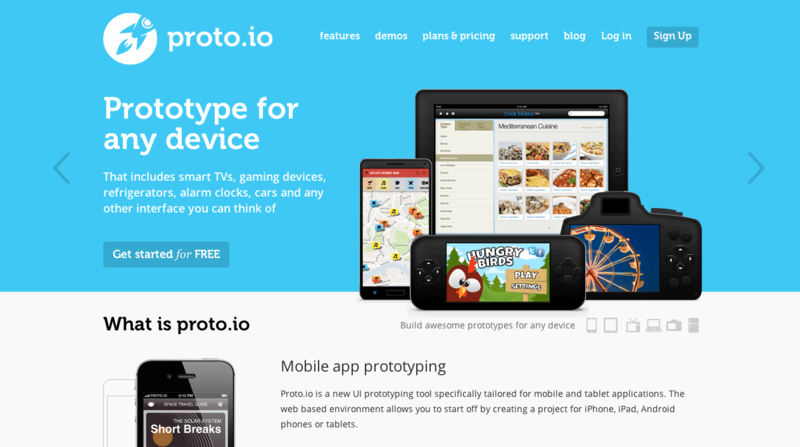 You can preview your prototype in a web browser or on a mobile device using the Proto.io app for iOS and Android. Sharing your prototype with anyone can be done with just a single click. It’s easy to discover how this app can give a boost to your productivity as a designer. Try it for free for 15 days. If task management is taking up too much of your time, hand it over to MeisterTask. Thanks to its flexible Kanban-style project boards, this productivity app easily adapts to your workflow. 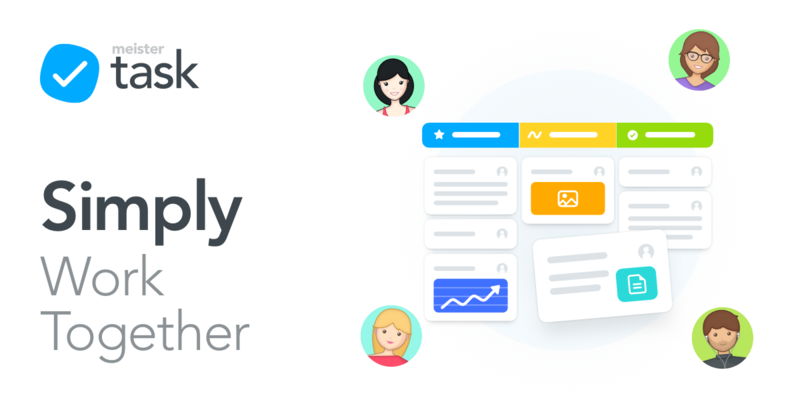 MeisterTask tracks the tasks of as many team members as you want, in as many projects as you want. Its dashboard gives you an instant summary of the things you need to focus on, and lets you know what your team members are up to. MeisterTask has a free plan and a Pro plan with additional team management features.